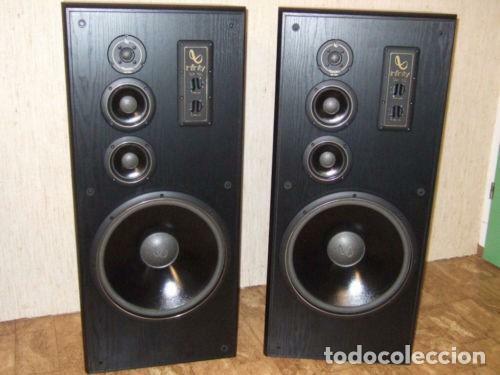 PAREJA DE FAMOSOS ALTAVOCES - MONITORES DE ESTUDIO INFINITY SM 155 DE 300W E INCREÍBLE CALIDAD DE SONIDO. TODOS LOS DRIVERS ORIGINALES. PERFECTO ESTADO DE FUNCIONAMIENTO. 29 -27.000 Hz / WOOFER 15" (36 CM.) DE DIÁMETRO. LOS BAJOS QUE ENTRAGAN SUPER GENEROSOS, PERO SUAVES AL MISMO TIEMPO. INCREÍBLE SENSIBILIDAD DE 102 DB. UN AMPLI SOLO DE 3 WATIOS LOS MUEVE PERFECTAMENTE. MAGNEPAN TOP HI-END ALTAVOCES ISODINAMICOS 12 QR.QUASI RIBBON.SONIDO SUBLIME. 45 - 22.000 HZ. Hora oficial TC: 14:23:05 TR: 209 ms.